Just a regular ho-hum day for a middle aged American wife and mom who only 48 hours ago welcomed a new daughter-in-love to the family. I jest. It was this a significant moment. Why, you ask? 1. I’m very afraid of heights. 2. I’m not really a very adventurous person anymore. 3. I am accident prone. I climbed the steps and held on mightily to the thin railing. My eyes shunned all notice of the open risers. The recent earthquake we had experienced a few days ago from neighboring Guatemala was shoved aside. Up, up, up the stairs I climbed and then with trepidation, down, down, down the same. I felt the Lord’s open hand and His voice saying, “I’m giving you this moment. Take it.” He gave me a gift. All I needed to do was accept. I said yes. 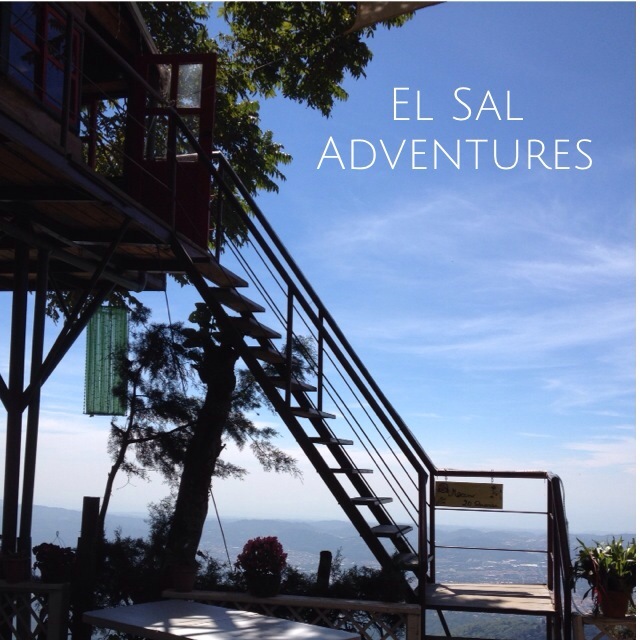 The park is just 25 minutes away from the Salvadoran capital and sits atop of the San Salvador volcano at an altitude of 5,905 feet which is about 1800 meters above sea level- (special thanks to fellow blogger Traveller Soul for the reference). The air was clear and cool, hibiscus and poinsettia blossomed at every view. The light fragrance of cypress reminded me of Christmas. How I wish I could have bottled the smell! Ike then bespied a small swinging bridge near the treehouse. “Mom, go on this with me!” he declared. Incredulously, my feet advanced. Before I knew it, I crossed the bridge. I’m not sure who was more surprised my orange hair, freckle face OS or I. Though a rather clumsy journey, by golly, I did it. Do I even dare to share and grant access to this life and try to write again? We shall see. So how about you? Any chance you can relate to my journey? 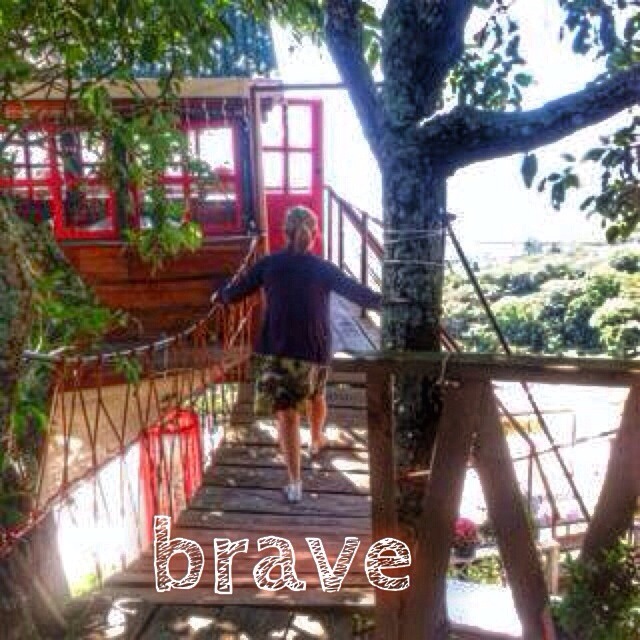 The brave part? 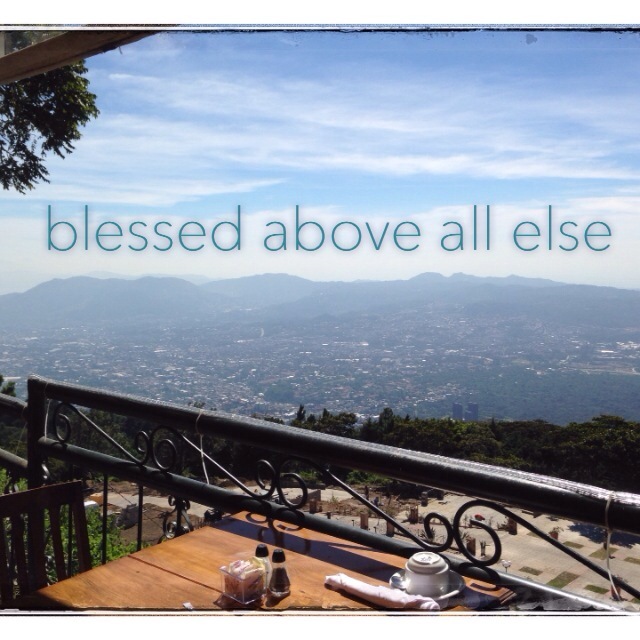 The blessed? Hope you’ll share!